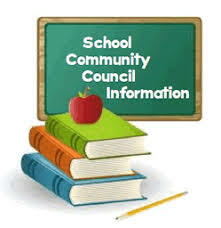 The École Elsie Mironuck School Community Council (ÉEMSCC) is a group of interested parents, school staff, students, and community members who work together with the school to support the students of the school. As a parent, guardian, staff member, or community member you are already a member of our SCC!! We meet monthly at 6:30pm in the school resource center. Childcare is provided if you email us first indicating that you require it. We are always on the lookout for other fantastic parents to help us out! Please consider attending our monthly meetings or helping us out by volunteering for one of our many activities. · Represent the interests of École Elsie Mironuck Community School families. 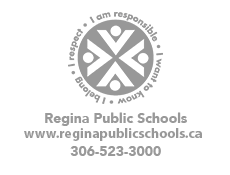 · Encourage parent, guardian & community engagement and involvement in our school. · Facilitate continuing co-operation, communication, and mutual understanding between parents, guardians & teachers. · Promote volunteerism among parents, guardians, & community members. · Identify ways to support our teachers to advance the learning programs at our school. · Have fun with all involved!! For the last several years, the ÉEMSCC has held an electronics raffle as the main fundraiser for the school. This has been a vital mainstay in our ability to support programs and make key purchases of different resources for our school! Each raffle provides us with approximately $10,000 of net profits which is directly invested back into our school! In addition, because it is a SLGA sanctioned raffle, we earn another 25% of our net proceeds in grant money!! A $2 ticket earns you a chance of winning over $7000 in prizes! Our grand prize is usually a big screen TV with a surround sound system and movie player. Overall, approximately 10 prizes are offered with each raffle (usually a minimum of $100 value) and in the past have included: X-Box Consoles, PS Consoles, Wii, tablets, computers, netbooks/notebooks, headphones, wireless speakers, iPod’s, programmable remotes, cameras, video recorders, Kindle/E-readers, GPS, cordless phones, and stereos. We look forward to running another successful raffle this year!! We are also extremely grateful for all the hard work by our teachers, students, parents, guardians, and to all those who purchase tickets! !